Amy Kortus performs throughout the triangle for weddings, concerts, private parties and special events. Amy is a classically trained concert harpist who plays a wide variety of musical styles on her 47 string concert harp. Our group so enjoyed listening AND watching this lovely woman perform her craft. Stellar performer with a beautiful presence. 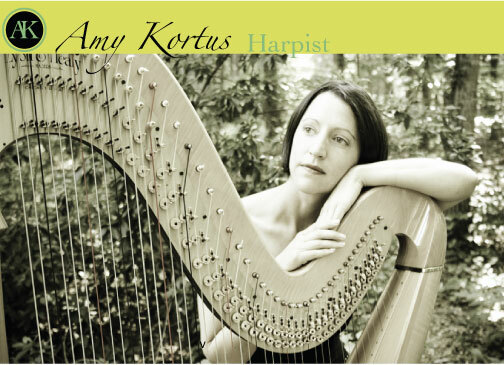 Amy Kortus is a classically trained harpist who has been performing professionally since she was sixteen. 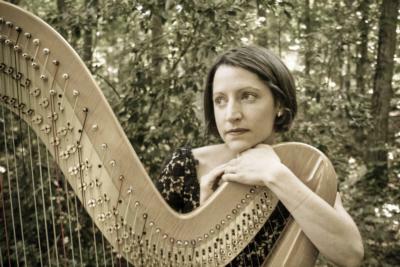 Amy studied under harp masters in Washington, Chicago and North Carolina, and before moving to Durham was the harpist for the Drake Hotel. Amy keeps an active performance schedule, playing solo for private events and concerts, as well as chamber music performances with the Nyquist music ensemble. 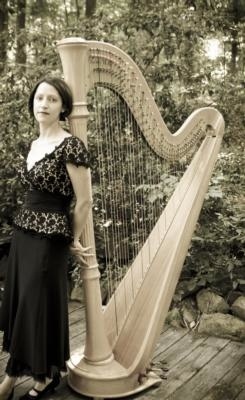 Amy also teaches harp lessons out of her private studio in Durham.